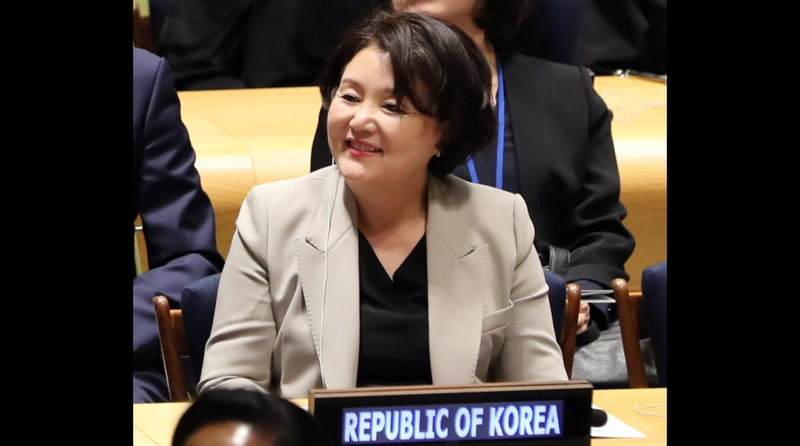 The four-day trip starting will be the first time in 16 years that a South Korean First Lady would be travelling to a foreign land without the President. The First Lady of South Korea Kim Jung-sook will visit India without President Moon Jae-in next week to attend the groundbreaking ceremony of a park in Ayodhya, commemorating the Indian-born wife of the king of an ancient Korean kingdom, on the occasion of Diwali. She will also be the chief guest at the ‘Deepotsav’ event being organised by the Uttar Pradesh Government on 6 November. Kim plans to meet with Prime Minister Narendra Modi on Monday and attend the ground-breaking ceremony the following day for the park, which commemorates Heo Hwang-ok, also known as Empress Heo, the Indian wife of Kim Su-ro, the founding king of Korea’s Gaya Kingdom. The upcoming trip follows a state visit that President Moon and the First Lady made to India in July. At that time, Modi asked South Korea to send a high-level delegation to the ground-breaking ceremony and the festival to celebrate the cooperation and history between the two countries. Modi later sent an official invitation for Kim to visit the country. “India is a key partner in the New Southward Policy,” diplomatic sources here said, referring to the Moon administration’s policy to strengthen relations with South Asian nations. “First Lady Kim’s visit signifies our government’s will to move relations with India further forward,” South Korean sources said. The External Affairs Ministry said the South Korean First Lady’s participation in the festivities in Ayodhya will showcase close civilisational links between the two countries as well as the ongoing deepening bilateral engagement. India and South Korea share a special strategic partnership. President Moon had visited India in July 2018. His visit had imparted new strength to evolving partnership between the two nations. PM Modi was recently chosen as the winner of the Seoul peace prize.